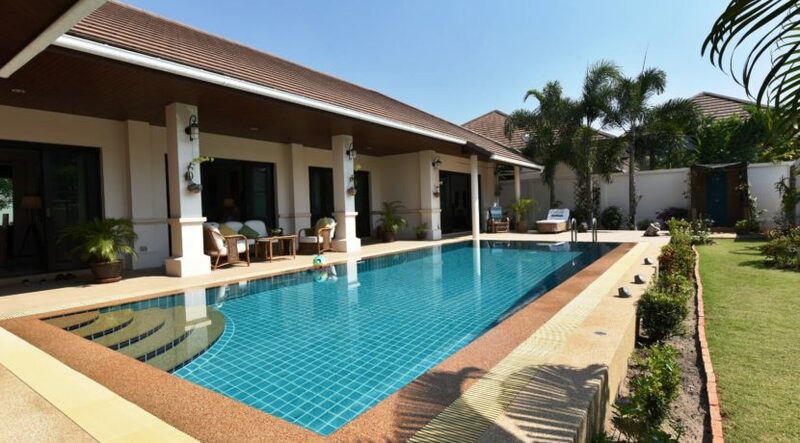 Exceptional Balinese style pool villa just 10-minute drive west of Hua Hin town center. Being a Huahin Hillside Hamlet house, it is of unique design and quality. The villa has a spacious living-dining lounge, 3 large bedrooms with ensuite bathrooms, fully fitted European style open kitchen and utility rooms for storage and laundry. Rooms exits directly to the extensive covered patio traversing a 4×10 meter large swimming pool and the beautifully landscaped garden. The Villa is fully walled and gated and has covered car park for 2 cars and external storage room. 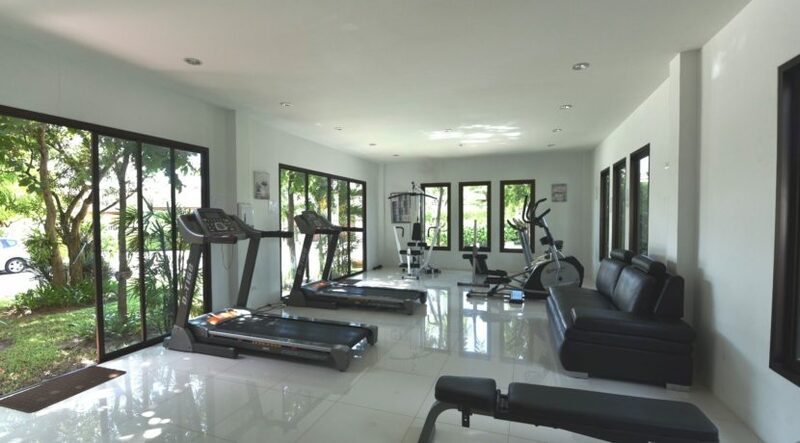 Communal fitness room within walking distance. The villa sells partly furnished, including all built-in items, beds, kitchen and outdoor furnishing. The villa is on leasehold land, which may be converted to freehold if required. This Balinese pool villa in a highly attractive area is offered at a very competitive price level. Download description at: www.dansiam-property.com/4961213 and mail or call for viewing (+66(0)81-860-9611 (English/Thai) /+66(0)81-820-3496 (English/Scandinavian)).